For more details on what verified teachers have access to, see What is teacher verification? Start at the create account page and then complete the registration form. 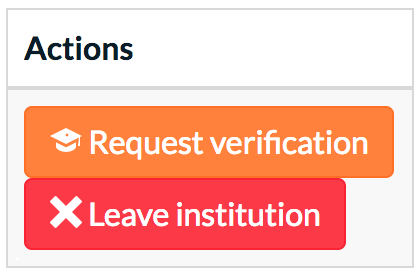 In your account settings, click "Request verification" for your school or institution. We take the privacy of students very seriously. After you request verification, we'll contact your institution and confirm that you're a teacher there. You'll receive an email once your verification has been processed. What can I do as a verified teacher? Verified teachers can sign up students, and manage student accounts at your school. You’ll also receive free access to all of our materials, including problem solutions and teacher notes! For more details on what teachers have access to, see How do I get a free teacher account?